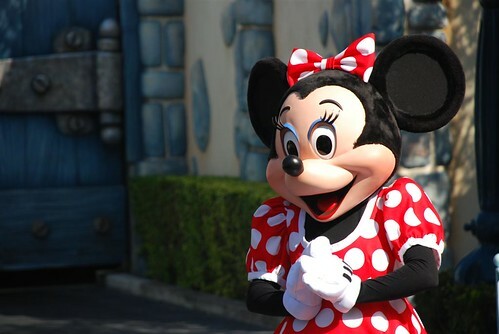 Nestled in heart of Orlando in the sunny state of Florida, Disney World has been a popular destination for families all over the world since its grand opening in 1971. Decked out with four gigantic theme parks, two waterparks, interactive attractions, thrilling rides, great shopping, superb dining, golf and other sports – Disney World is truly the ultimate family destination. Plan to stay at one of the many hotels on the property. With lots of options in a variety of price ranges, there’s something to suit any budget, plus you will have convenient access to all the parks. By day take the family out and explore the magic of Disney World. Stroll the exciting promenades of Magic Kingdom Park. With six separate lands each with their own theme and attractions the park is perfect for everyone who is young at heart. Hereyou can brave a haunted mansion in Liberty Square, climb mountains in Frontierland, or float down an exotic jungle river in Adventure land. Celebrate with your favourite Disney characters during a musical parade on Main Street or delight in a glittering fireworks extravaganza by Cinderella’s Castle. If you have teens, check out Epcot Park and explore earth and space. Experience the thrill of Mission SPACE, join in on the fun at Chevrolet’s Test Track, or get up close with Dolphins. This futuristic park also boasts the World Showcase allowing guests to explore the exotic cuisine and cultures of 11 different countries from Mexico to Japan to Morocco. Or, go behind the scenes at Hollywood Studios Park. With attractions based on blockbuster films, guests can step right into all the action and glamour of Tinsel Town. On those hot Florida days cool off at one Disneyworld’s incredible water parks. Play in a giant wave pool, learn to surf, or go snorkelling with colourful fish, at the adventurous Typhoon Lagoon. For those wanting to relax, head over to the shores of Blizzard Beach and experience the thrill of one of the world’s fastest waterslides, sunbathe on white sand beaches or gently float down a lazy river. After the parks close, the fun doesn’t stop. Peruse the waterfront shops of Downtown Disney or the quarter-mile promenade of Disney Boardwalk. With everything from designer to souvenir stores to collectibles there’s so much fun to be had even after dark. Marvel at the acrobatics of Cirque de Soleil’s La Nouba or go bowling. Featuring an endless array of restaurants ranging from buffet style to romantic, even the fussiest of eaters will be satisfied here. At Disney World, dreams come true for everyone. It’s magical feel, endless attractions, exceptional dining, shopping and activities make it the perfect family destination.